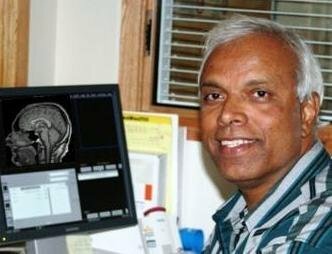 Dr. Tom Padikal, can we have science without spirituality? Can we really know science without spirituality? Live Your Peace interviews Tom Padikal, Ph.D. a consultant to several Radiology and Radiation Oncology departments. Tom is now committed to creating breakthrough results – scientific, professional and personal! As an investigator, he pulls from his background – in experimental nuclear physics and quantum mechanics, in cancer treatment and medical physics, in radiation oncology and radiology, as well as in academic cosmology and biology. As a speaker he can be engaging and passionate – with the right mixture of experimental science, quantum physics, clinical experience and spiritual traditions of the East. Workshops topics: Science and Spirituality, Claiming your Divine Lineage, Creating your own Biomolecules, Being the Witness and the Matrix, and Life at the Leading Edge. Listen to spiritual and scientific exploration for peace. One Response to Dr. Tom Padikal, can we have science without spirituality?